Hannah Baker was your average teenage girl that had everything. Her life was perfect than started to go down hill. Hannah realized that it was her time to go. She began to make tapes about the people who made her want to take her own life. " Hello, boys and girls. Hannah Baker here. Live and in stereo" (Pg. 7). Hannah sent the tapes to peoples houses and they had to pass them on. "The rules are pretty simple. There are only two. Rule number one: You listen. Number two: You pass it on"(Pg. 7). Hannah wanted these people to know what they did wrong and feel bad about themselves. "And you, lucky number thirteen, you can take the tapes straight to hell. Depending on your religion, maybe ill see you there" (Pg. 9). Hannah wanted to get back at the people for what they did to her. Hannah is facing many problems in this book. 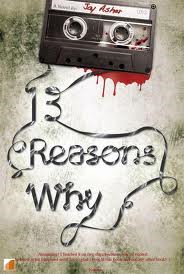 On her tapes she has 13 different people with 13 different reasons why she killed herself. In this story Hannah is the protagonist even thought she is dead. The tapes will help you get to know Hannah and her personality. Hannah goal is to make them feel uncomfortable. "Now why would a dead girl lie? Hey! That sound like a joke. Why would a dead girl lie? Answer: Because she cant stand up" (Pg. 7). Hannah's problems in life got to her and that's why she wanted to end it. "I hope your ready, because I'm about to tell you the story of my life. More specifically, why my life ended" (Pg. 7). On each side of the cassette Hannah has a very thought out reason for each person the made her want to kill herself. The theme of the book "13 Reasons why" is that you never know how you have impacted someone's life until it is too late. All of the people who were one of the reasons why, were too late to realize how much they had impacted Hannah's life. "I'm not saying which tape brings you into the story. But fear not, if you received this lovely little box, your name will pop up... I promise" (Pg. 7). The setting of this story is around their town. When Clay is listening to the tapes with his headphones in, he walks around his town going to all the stars on the map. "I almost forgot. If your on my list, you should've received a map"(Pg. 11). 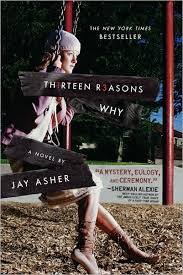 I praise the book "13 Reasons why" for many reasons. This book shows you what some people can do to hurt others. Even if you don't realize it, you can be affecting someone's life negatively. It also shows how sensitive some people can be. In this story Hannah was sensitive to what her friends were doing to her. I would recommend this book to a lot of people.